Have you have heard of the SKA? You’d be forgiven if the first thing that came to mind was the rock steady and reggae mashup music genre that originated in the late ‘50s. However, we’re talking technology, not music. In the world of IT, SKA is an acronym for ‘square kilometre array’, a global project which aims to provide answers to the tricky questions we have about the origin and evolution of the universe. 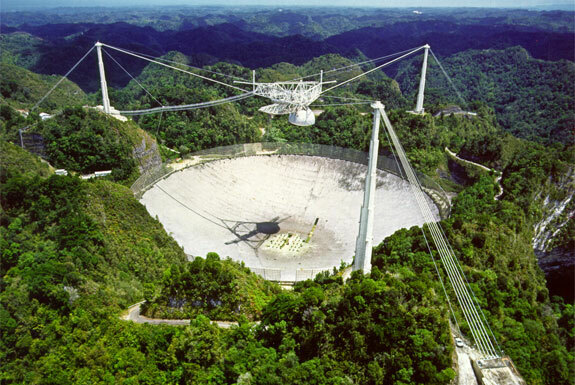 It attempts to do all this by utilising the world’s largest radio telescope. Formed in the UK in early 2011, the SKA now has ten member countries who help form the ‘SKA Organisation’. The Ministry of Economic Development is responsible for representing New Zealand. To achieve its lofty goals, the SKA will combine the signals received from thousands of small antennas spread over a distance of more than 3000km to simulate a single giant radio telescope capable of extremely high sensitivity and angular resolution. New Zealand is essential to the mapping process due to our location in the bottom corner of the Earth and is home to many of the most distant stations. It is far from a straight forward undertaking and due to the magnitude of the project it has frequently been referred to as the ‘ultimate big data undertaking’. Why am I telling you all this? Here’s why. This month (27/28th) AUT are hosting the 3rd Multicore World Conference and in conjunction with the event New Zealand based company Open Parallel are holding a workshop on ‘Computing for SKA’. Open Parallel are specialists in parallel programming, multicore technology and software system infrastructure as well as being a member of the NZSKAIC (New Zealand Square Kilometre Array Industry Consortium). The NZSKAIC is responsible for developing capabilities in multicore software adapted for SKA requirements. The two day event will feature a number of SKA experts describing the computing challenges that are encountered when designing the biggest radio-telescope in the world while the second day will feature industry participants presenting their offering to address SKA expectations. Guest speakers include Tim Cornwell, SKA Architect & Head of Computing, SKA Organisation and Andrew Ensor – Director of NZ SKA Alliance, Research Senior Lecturer at AUT. When you consider that the data collected by the SKA in a single day would take nearly two million years to playback on an iPod you know this will be an event worth attending for anyone working in the New Zealand ICT industry. Mind boggling is guaranteed! You can find out more about Computing for SKA and register for the event here. Read more about The Square Kilometre Array. Read more about New Zealand and the SKA.